In purchasing equipment for the outdoors, I always use the same thought process. How often am I going to upgrade my equipment based on the new radical improvements that the manufacturer will come out with? How long before my existing equipment will become obsolete and I will have to replace it? How long will it be before I have a disadvantage with my existing equipment? When the time came to choose a camping stove, I decided that I would choose the best camping stove that I could afford based on the use of the camping stove. The important considerations in choosing a camping stove are: Where you going to be camping and how many people do you have to cook for? Camping stoves can weigh from a couple of ounces to many pounds. The stove that you would carry for backpacking is completely different from the stove used while car camping. Keep in mind that the weight of the lightweight burners do not include the fuel (either a fuel cartridge or tank). Many lightweight burners come with a push button ignition. Always carry matches in case the ignition becomes defective and does not light the burner. The larger stoves have two burners for cooking two items at the same time and those stoves are usually used for car camping or boating, etc. Most lightweight burners come with their own bag to protect the burner from becoming damaged. If the burner does not have a bag, purchase a padded bag for protection. Whatever fuel needs to be used with the stove (Propane, Butane, Isobutene, White Gas, etc. ), be sure that the places you intend to camp have access to fuel in case you need extra fuel. Some fuel can accommodate a lantern head which allows both cooking and the use of a night light. This is an extra option even though the lantern head must be purchased, too. A knob or little bar will allow the stove to be adjusted to different flames. This makes cooking much easier. Another option available for the camping stove is a wind screen which will not only block the wind, but also will help to heat the water and food faster since the wind screen traps the heat. These fuels are the easiest to use; turn the gas on and push the ignition and the stove is lit. The disadvantage of these fuels is that the canisters have to be deposed of properly. When the can is partially empty, it takes longer to boil the same amount of water and the stove does not function properly in below freezing weather. These fuels tend to simmer better and they are clean burning. When the burner is removed from the canister, the canister reseals itself. Liquid tanks can be refilled, work better in colder weather and burn hotter. They tend to be more expensive than the lightweight burners, larger and heavier. The liquid fuel stoves can use a few different fuel types which is an advantage if certain types of fuel are not readily available. You should always have a second tank available if your only tank becomes unusable. 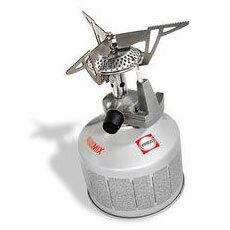 Choosing the right camping stove for your needs will add to your camping enjoyment. Choosing the wrong camping stove will turn your cooking into a nightmare. Don't forget to learn how to maintain your camping stove correctly because incorrect methods might damage your camping stove.